When I was first asked to speak at the “Visions in Mathematics” conference, I had what I believe was a typical reaction. I wanted to try to emulate Hilbert a century ago, but since I knew that I could not possibly match his breadth of vision, I was forced to make some sort of compromise. 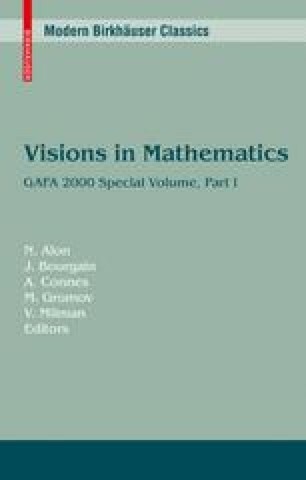 In this paper I shall discuss several open problems, not always in areas I know much about, but they are not intended as a list of the most important questions in mathematics, or even the most important questions in the areas of mathematics that I have worked in. Rather, they are a personal selection of problems that, for one reason or another, have captured my attention over the years.